Quality not quantity. 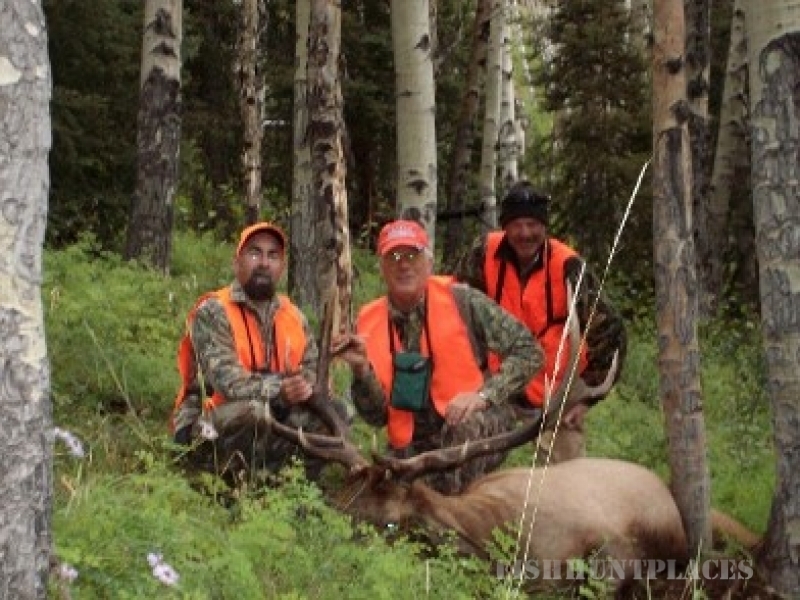 We only operate one fully guided base camp per hunting season. 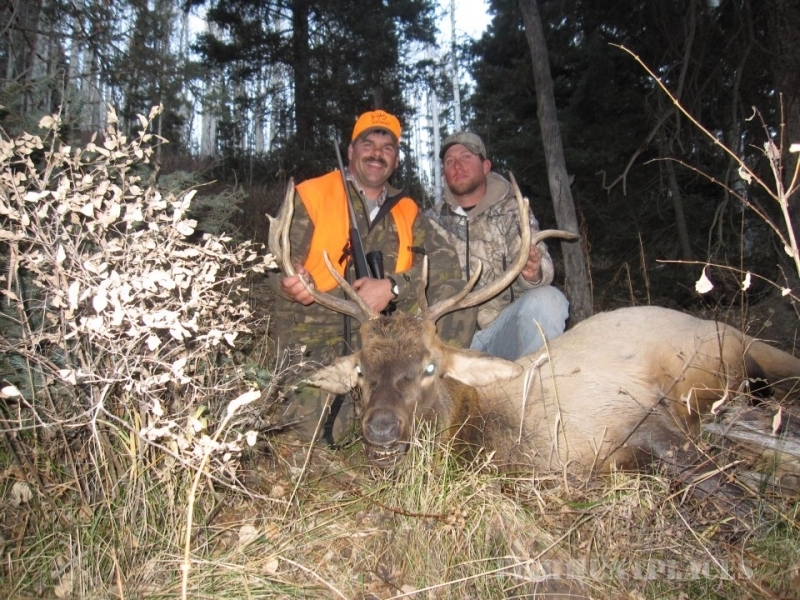 Only six hunters are booked per season!! 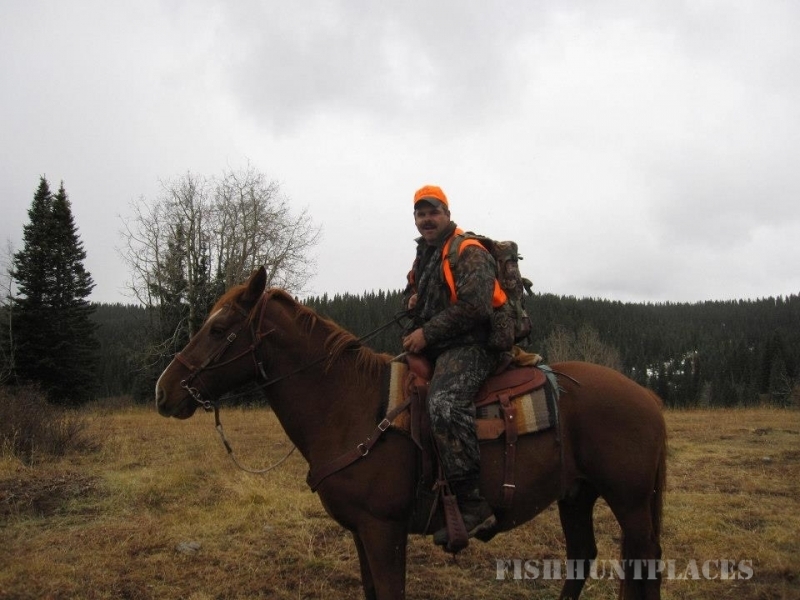 This provides our clients with a better over all experience and better hunting opportunities. Horses are ridden into the base camp (except for archery hunters) from trailhead. 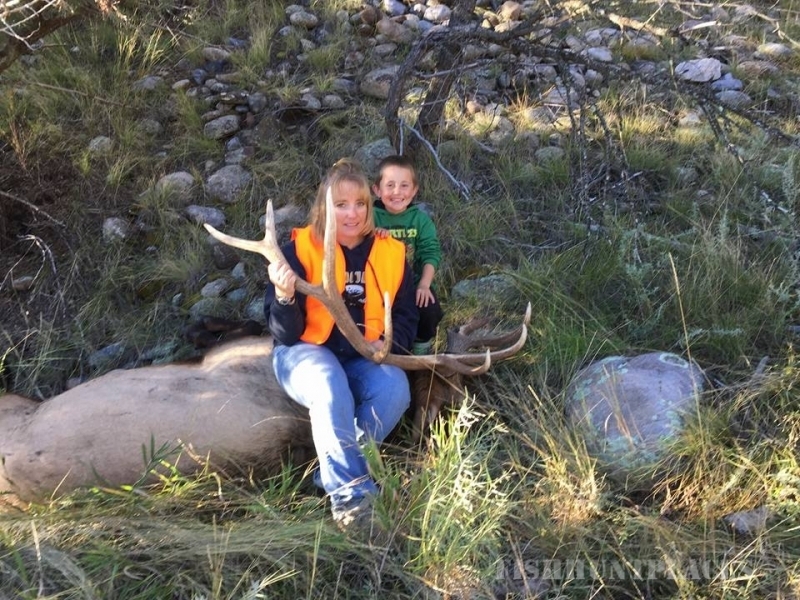 Once in popular elk terrain, hunting is done on foot. You should be in good physical condition and prepared to hike 4 to 5 hours per day. All supplies and gear are packed into our base camp with pack animals. 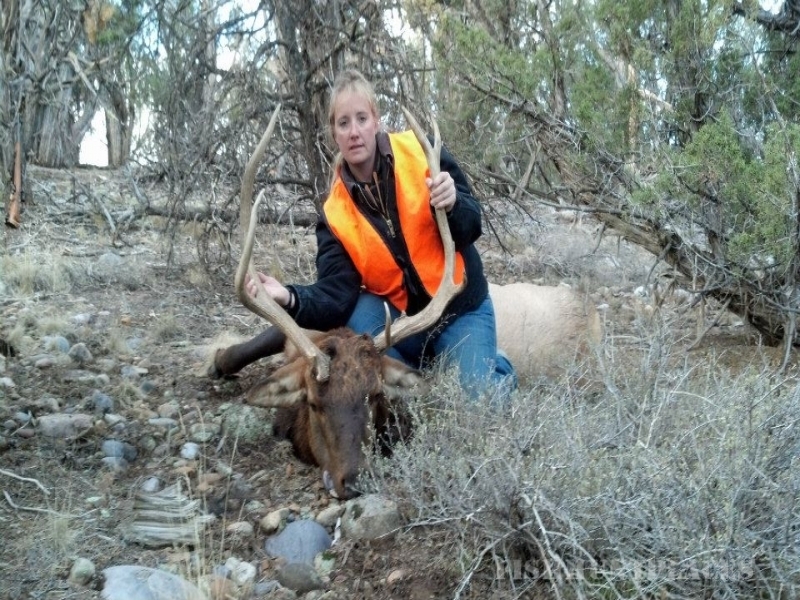 Colorado elk hunting trip includes riding and pack animals, experienced guides (one guide per two hunters), support crew, cook, wrangler, hearty meals, a comfortable base camp and spike camps. The six hunters in camp are split up into three groups of two; a guide accompanies each group of two. Some of the hunters will hunt to the South and another group will hunt to the West of Base Camp. We also have two different spike camps; one is located to the west and the other is to the south. We really have a lot of terrain to cover. 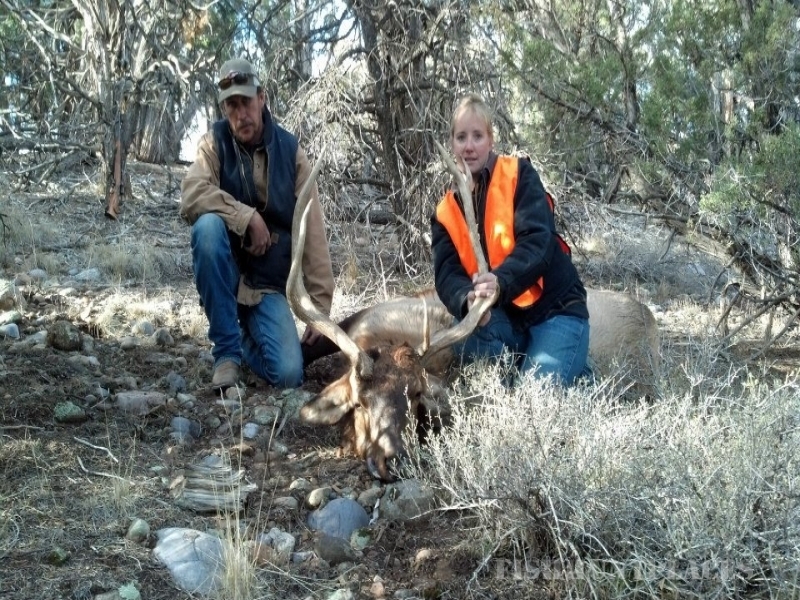 Some advice when looking for an outfitter …when booking a Colorado elk hunt always investigate if the Colorado Outfitter has more than one guided camp or more than six hunters in camp. We strongly feel the quality of control is greatly diminished when trying to guide more than six hunters or operating more than one camp. Murphy’s Law starts taking effect and more than likely a hunter is not going to get the level of service they paid for! 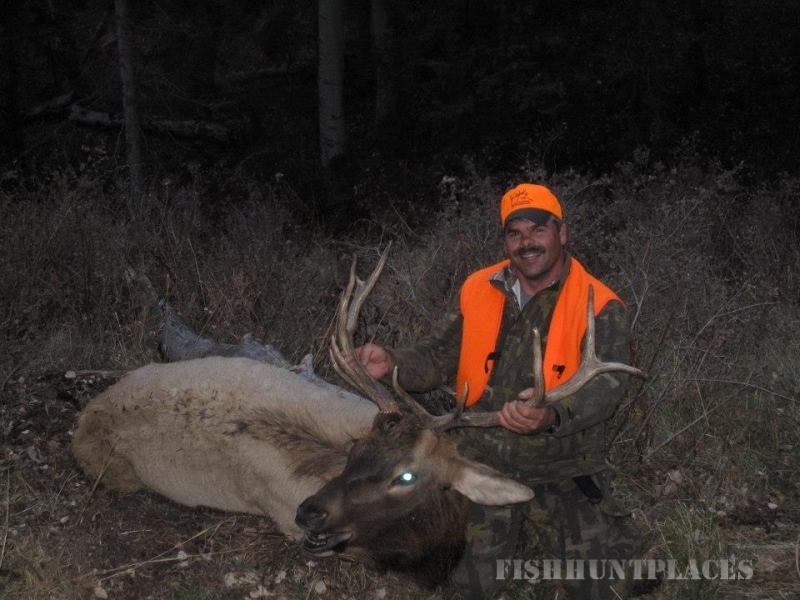 We pledged to ourselves that one camp with only six hunters provides the best Colorado guided elk hunt possible! 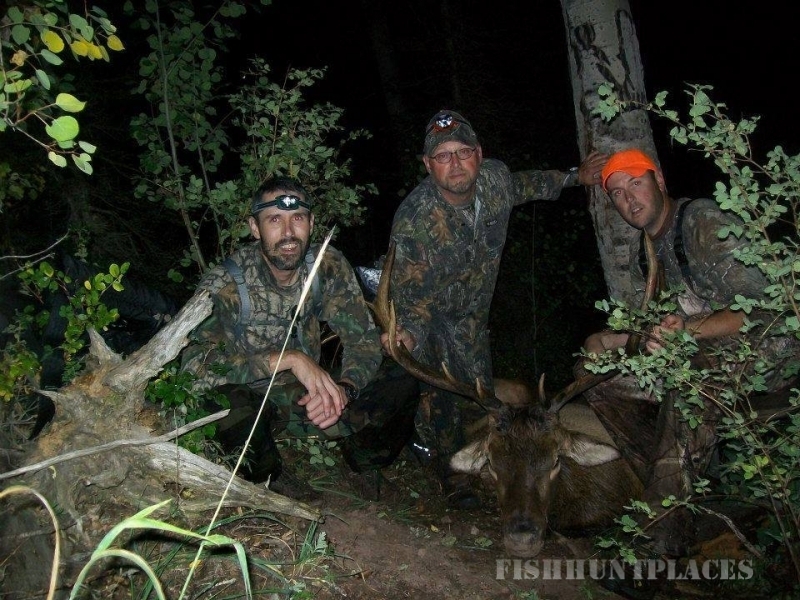 We are a small local homegrown guide service that caters to an exclusive group of six hunters in one camp!